A few weeks ago I headed to Chiddingstone Castle in Kent for their open day and wedding fair with one of my bridesmaids. It’s always hard going to an event like this as I have the venue sorted, it’s in Hampshire not Kent. Plus the amazing suppliers I see often won’t quite fit with a trip down the M25 and A3. But it is a great opportunity for me to meet some lovely people, get inspiration from them and also a chance to let you all know about what they do. I met the lovely Emma Page, who like me, is a women of two businesses hats. A business journalist by day, Emma designs and makes the most amazing and tasty cakes by night, at the weekends, she lives and breathes buttercream icing! As an English Literature graduate, Emma joined a business publishing company and after a couple of years found herself as she puts it “bizarrely editing two international power magazines”. Emma had children in her 20’s and left work to write freelance features and cover news shifts. At the same time she was making celebration cakes for fun: the odd order but mainly for friends and family. So how did her wedding cake business develop? Well over the last two years Emma also worked as a chef at weddings, and has been struck by the mountains of fondant icing left on plates at the end of service. I’m with the guests on this one, I dislike fondant icing and Emma has never been a fan herself. 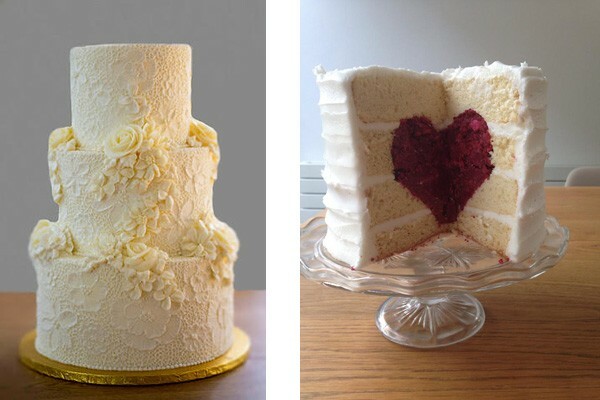 After meeting Valerie and Christina of Queen of Hearts, a London-based cake makers who pioneered the use of buttercream for cake decoration, she has never looked back and has learnt a lot about technique with buttercream that she would never have thought possible. 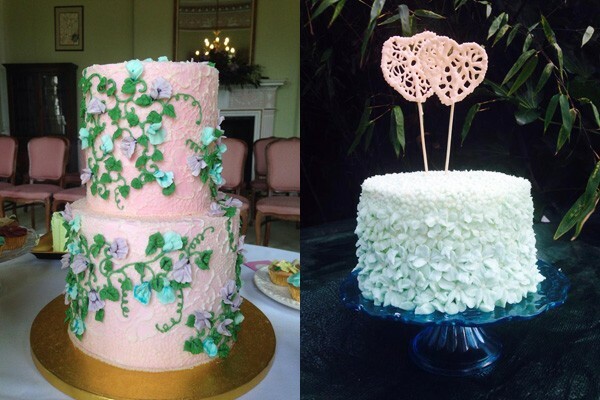 Since 2013 Emma Page has only made buttercream cakes. Since I am searching for the ultimate buttercream icing cake for the Montague-Ebbs/Letham wedding next year it seemed like the right time to interview Emma about the latest in wedding cake trends. 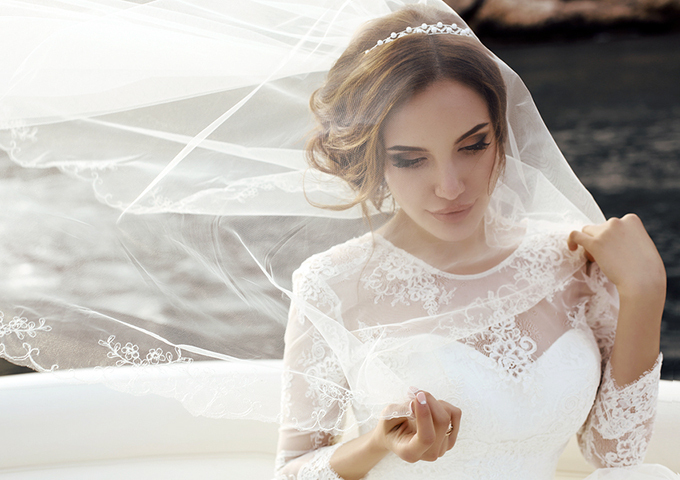 What are the latest trends in wedding cakes or what you are being asked for the most? I’m seeing a huge swell of interest in buttercream. I think because a number of high-profile celebrities have opted for buttercream cakes, it tastes amazing, and because it’s brilliant for achieving a romantic or vintage look with lots of character. Lots of couples are asking for metallic accents; either whole tiers airbrushed in gold or silver, or patterns painted in gold. A metallic finish works well on fondant as well as buttercream cakes. Edible sequins and glitter look particularly beautiful in candlelight and will be popular for winter weddings. Ombre is becoming very popular for couples who fancy a departure from the classic ivory or white, but don’t want anything too decorative or elaborate. Cool turquoise fading up to the palest aquamarine is a favourite, but coral is also beautiful and can fade up to either pale pink or apricot. 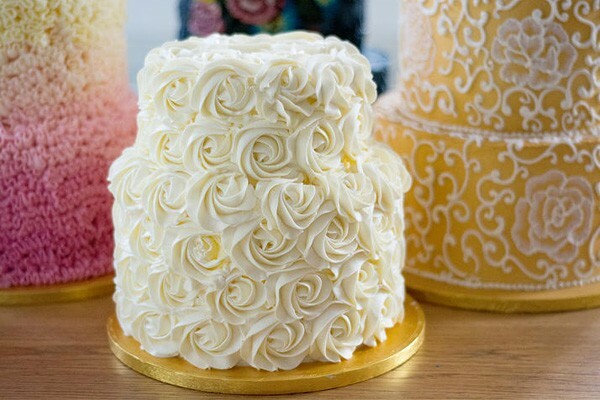 Ombre is most effective if the texture remains the same throughout, so opt for a simple rose buttercream swirl or fondant ruffles. Naked cakes are still popular. They look fantastic in a barn or outside setting in the summer, but can dry out very quickly. How have wedding cakes changed in requirements since you started making them? Tiers have got taller. The fashion now is for five or six inches, as opposed to the traditional three inches. This additional height promises a real showstopper, but can result in a lot of wasted cake unless you incorporate some dummy (polystyrene) tiers. Couples are generally seeking a bit more fun from their wedding cake. 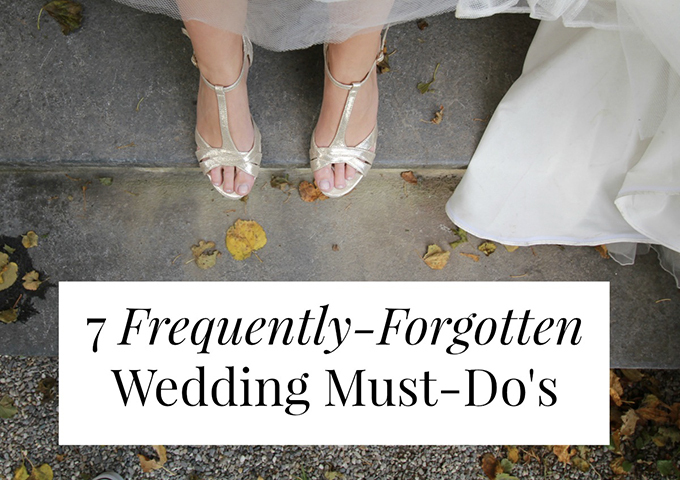 I’m seeing a departure from formal traditions such as a fruit top tier that can be kept for the first anniversary or sugar flowers to match the bride’s bouquet, and a growth in quirky requests: chocolate chips, peanut butter frosting, popping candy, meringues and even Minion cake toppers. When it comes to a wedding cake, be realistic about the cost. 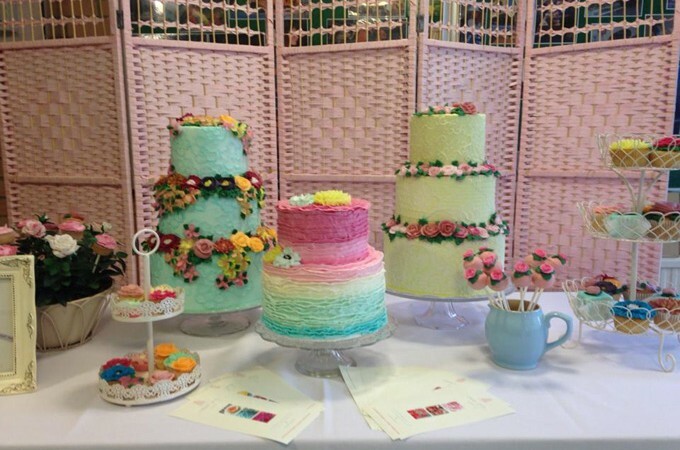 Generally speaking a large three tier cake is going to cost at least £450. Buttercream is usually cheaper, but couples often don’t realise the amount of work that goes into prepping a cake after it’s baked before it can be decorated. If each tier of a cake isn’t properly levelled and supported with a framework of accurately cut dowels it will collapse. Think about the space in your venue and scale your cake as appropriate. A little two tier cake is going to look lost in a venue with a double-height ceiling, even if you only have forty guests. Better to have a dummy tier to give it some height or place it on a tall stand. When it comes to styling your venue, avoid primary colours. Red, blue and yellow will always look corporate, unless they are mixed up with contrasting and complementary shades. And never choose flowers that aren’t in season. How far are you willing to travel with the cakes? It’s not really about distance. I’d much rather transport a cake 50 miles on the motorway than five miles through winding country lanes. I deliver into central London and out to the Kent and Sussex coasts from my base in Westerham. 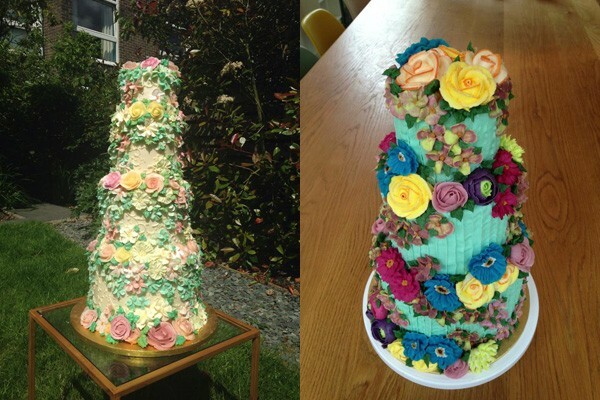 You can browse the amazing collection of cakes that Emma has made to date via her website. She takes requests and has a great sense of imagination and flair of creativity so don’t be afraid to ask for your dream cake. You can also follow Emma Page cakes on Twitter and Facebook. Those cakes are just amazing !